MLS#: 3963200 - Courtesy of Good Mountain Real Estate, Inc. SIGNIFICANT PRICE REDUCTION. Stunning log home in Indian Hills with 80 acres. 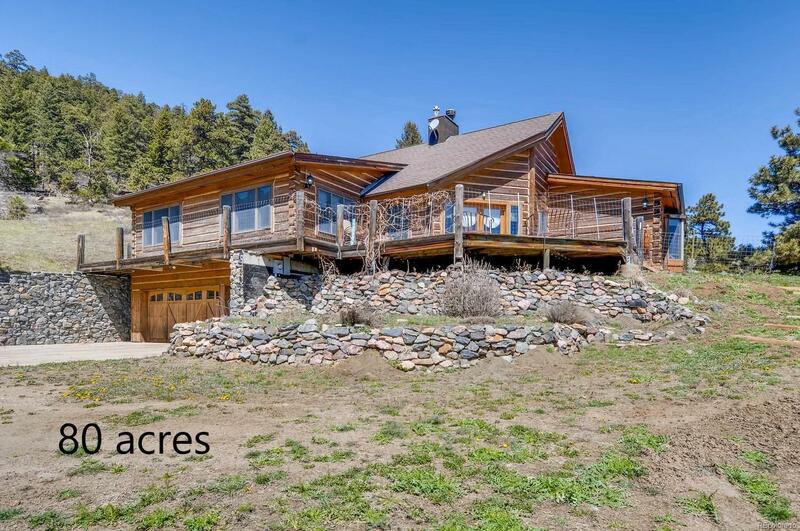 Gorgeous imported Montana logs create a cozy feeling in this well thought out mountain home. The sense of seclusion and peace is limitless while just a short 30 minute drive to Denver. This property has limitless possibilities including four wheeling trails, hunting, snowshoe trails, horses, you dream it, you can do it! If you engaged in a conservation easement you'd be eligible for SIGNIFICANT tax credits to be used over 20 years. Want more land? Additional 40 acres attached to property for $450,000 MLS 7390207.